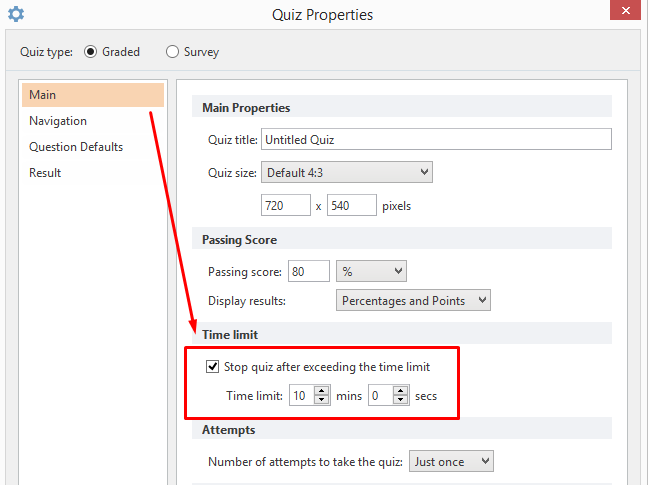 I am making a quiz in which i am setting 60 seconds/ 1 minute to complete each question. Whats bothering here is that the notification " you have 60 seconds to solve the next question" is popping up after every question which is frustrating. Is there any way i can disable this popup?? No, a publisher can not disable this notification, as this informs users about the limitation. This is how the software is executed.